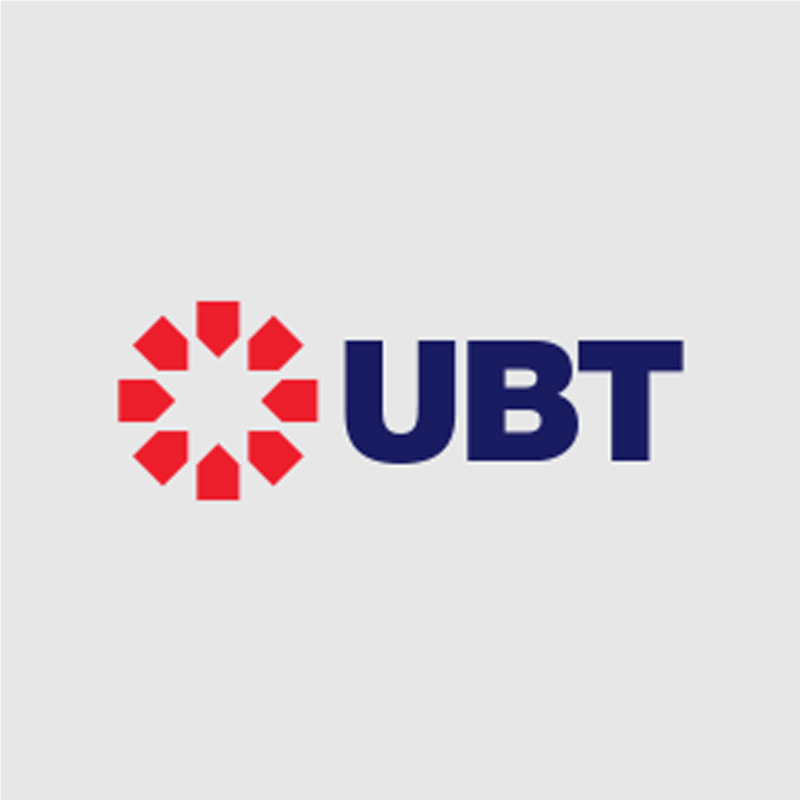 Please only fill out the below form if you require a new Direct Debit agreement with UBT for the Software and Systems Licence. Payment for the product will be taken after you proceed through the checkout. I/We authorise you until further notice, to debit my/our account with all amounts which ONEFOCUS NZ TRUST T/A UBT (hereinafter referred to as the Initiator) the registered Initiator of the above Authorisation Code, may initiate by Direct Debit. I/We acknowledge and accept that the bank accepts this authority only upon the conditions. In addition, it is noted that this publication is intended only for private distribution to and use by members of the fellowship known as Plymouth Brethren Christian Church. By offering to buy this publication you warrant that you are currently a member of that fellowship and you acknowledge that UBT retains the right to decline to accept your order and the right to cancel any order without assigning any reason. If your order is cancelled UBT will refund any moneys paid and you will return the publication (at UBT’s expense) to UBT. If you are purchasing this publication with the intention of providing it to someone else, you warrant that the recipient is currently a member of that fellowship and will adhere to these terms. Order or cancel your card now by using the button above! Fuel Your School, our managed fuel card service, provides your with the facilities your business needs to effectively manage fuel expenses. Our four providers –Z Energy, BP, Caltex and Mobil, offer the largest network of filling points across New Zealand. Due to the level of support from Z Energy, we have propelled them into the #1 preferred option. Essentially our message is “Whenever and wherever possible, go the extra mile and fill up at Z. If not, we still value your business with your BP, Caltex & Mobil card”. Z Energy is a NZ owned business and has over 200 stations from Invercargill to Kaiatia so they will always have you covered. On top of that, they pride themselves on service and provide a forecourt concierge to fuel you up, clean your windscreen and put a smile on your face. An annual card fee of $15.00 + GST will be applied to BP, Caltex & Mobil cards. So whether you need it for commercial or domestic use, UBT’s Fuel your School product ensures single-point accounts of all your fuel expenses. In addition, your ability to control what’s purchased on each card ensures easy management, allowing you to focus on your core business. As a Kiwi company, the team at Z reckon they know what it is you really need – things like service stations where you need them, faster refuelling and great service. Z takes pride in showing people just what New Zealanders can achieve when they put their mind to the things that matter. By putting the service into service stations, Z is all about fuelling New Zealand to get ahead. As a Z Card customer, you’ll receive great benefits at service stations and truck stops across the country. You’ll also have complete control over how you set up your cards, from requiring your drivers to enter odometer readings, to setting daily or monthly spend limits and choosing what can be purchased on each card in addition to fuel, like car washes, coffee, or other supplies. FREE to sign up with no annual card fees. All Z stations have a forecourt concierge from 10am – 5pm daily. They’re there to help you to fill your tank, clean your windscreen, check your oil, give you directions and much more. Z Energy provides the largest level of support, meaning Z is our #1 preferred fuel provider. Over 200 Z service stations and more than 70 truck stops. Find your nearest Z service station or truck stop on the Z website. We’ve selected ‘national price’ which is great for our members overall. ‘National price’ is based on the average Z national price between Auckland, Wellington and Christchurch. This method supports easy price reconciliation with the ability to have one price nationwide. BP Oil New Zealand (BP) is a major provider of fuels in New Zealand, and is well placed to provide a total fuel card supply solution to UBT members. The BP offer is not solely based on price, but rather on their ability to provide a total value proposition. National Coverage – BP Fuelcard holders have access to over 250 BP branded service stations and truckstops across the country, along with BP Fuelcard acceptance at 124 G.A.S. and distributor sites. Cost Control – BP Fuelcard gives you the ability to control vehicle expenditure, place purchase limitations on individual cards, obtain odometer readings and enjoy peace of mind with PIN card security. Differentiated Premium Fuels – BP offers the Ultimate Range of Fuels, these are our most advanced fuels that are specially formulated to clean and protect your engine’s injectors, helping keep the heart of your car fitter so it can perform better. Wild Bean Cafe – At BP’s 92 Connect Sites, UBT members have access to the awa rd winning Wild Bean Café, winner of the Canstar Blue Most Satisfied Custom ers (Coffee Shop Chains) Award by Consumers two years in a row. Pricing – The pricing offered is the BP National List Price. Caltex is all about giving New Zealanders everything they need to make each journey a little better...easier...or more memorable. From the road trip, to the daily commute, to delivering goods or services to your customers and communities; Caltex believe every journey is worth enjoying and worth improving, so they focus on finding innovative ways to do just that. With a dedicated team who value partnership, top quality fuels, and a card management platform that’s both flexible and secure, Caltex cardholders can refuel with ease throughout the extensive nationwide network. They know it’s important to be able to manage things your way, so with Caltex StarCard it’s the account holder who gets to determine the daily and monthly values, and number of transactions and the type of products that can be purchased by each cardholder. With Caltex StarCards you can choose to be prompted to enter your vehicle’s odometer reading each time you refuel at Caltex. Caltex know security and peace of mind is important to you, so all the Caltex StarCards are PIN controlled. Cardholders can choose their own 4 digit pin number the first time the card is used. All StarCard transactions are processed electronically so they can ensure timely processing and a high level of data integrity. The electronic payment system carries out online validation to verify a card whenever it is used. Caltex StarCards are accepted at around 150 Caltex and more than 80 Challenge service stations across New Zealand. As well as over 70 Caltex truck st ops and 10 dedicated Caltex lubricant distributor stores. Enjoy 5 benefits in 1 fuel when you use Caltex with Techron® . Techron,Caltex specially formulated ingredient keeps your engine clean to help maximise power, improve fuel economy and lower emissions to ensure reliable performance and a smoother drive. TAKE ADVANTAGE OF THE CONTROL AND CONVENIENCE OF MOBILCARD. It effectively eases your time, cost and administration pressures, giving you the freedom to focus on other business priorities. Focus your energy on things that matter. The fuel card that helps run things your way. Mobilcard is a great way for you and your employees to purchase fuel and shop items at Mobil service stations. Whether you have a small fleet of cars or a large fleet of commercial vehicles, Mobilcard can help you. Mobilcard can be used at Mobil’s nationwide network of service stations and Mobil Truckstops which is currently 373 sites. Allied Petroleum specialise in servicing rural and commercial businesses in a wide range of industry types; delivering bulk diesel and petrol nationally. They are committed to steadfast service and strong relationships - delivering fuel when and where industry needs it. In addition to delivering fuel, Alllied Petroleum can also help you establish good storage, dispensing and fuel management solutions for your business. They can offer tailored packages that may include their investment in your fuel storage equipment, to then loan. They are a one stop shop for all your petroleum needs – from fuel delivery, quality lubricants, diesel exhaust fluid and fuel cards. They understand the importance of productivity – and take direct responsibility for all deliveries – employing their own team of experienced drivers to ensure your fuel always arrives. They are kiwi owned and operated – alongside a local customer service team, the Field Territory Managers work closely with customers to make sure their needs are met. Query an account or need to contact someone?